Whoa...! This one took a long time to paint, as you can imagine. I've never done anything like this puzzle image, and it was both creatively challenging and fun. 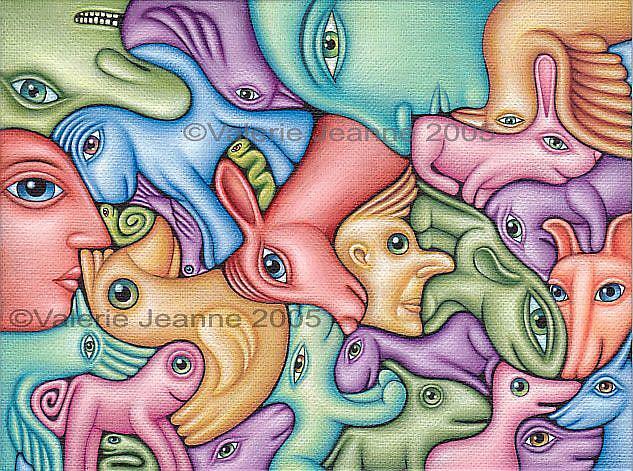 As I went along, I got better and better at inventing new animal shapes to fit into the overall scheme of this painting.